It happened again. An unsuspecting seller and a less than unsuspecting buyer met at an estate sale. The estate sale company threw the pitch and the buyer took a swing and hit it out of the park. The buyer admittedly did not know much about the historical artifact he was looking at, but he knew enough. 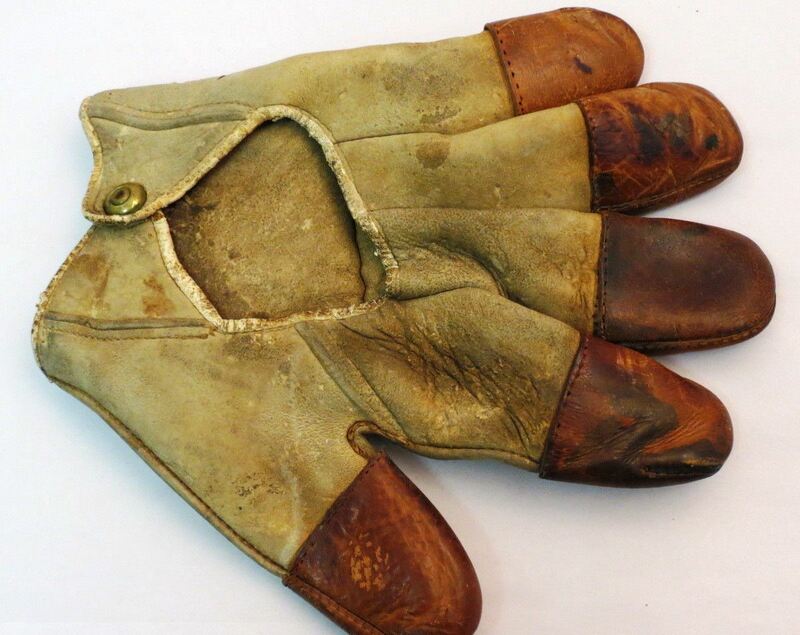 The shopper was holding in his hand an exceedingly rare and historically significant 19th century ‘Workman’ baseball glove where the year, 1890 along with the ballplayers name was etched in the wrist of the leather glove. The price was a whopping $40.00. 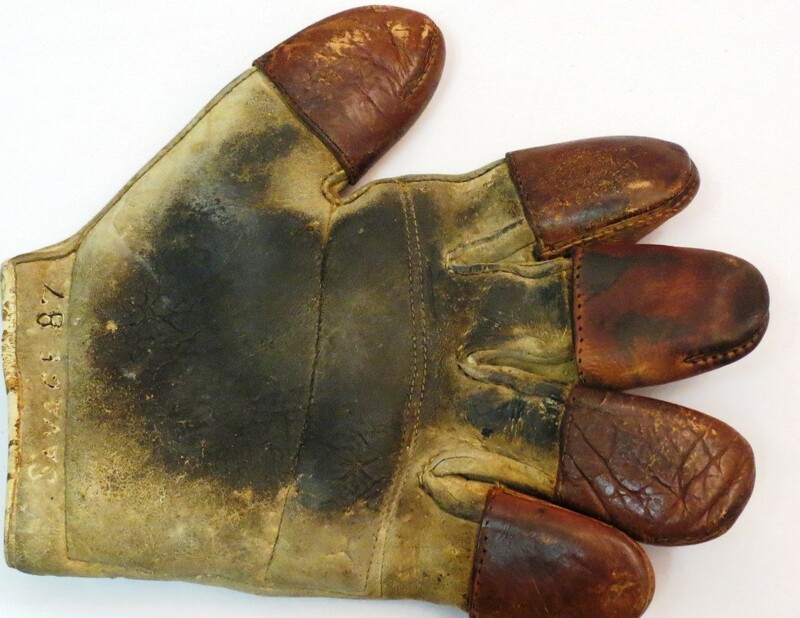 It did not take long before this baseball glove which is one of the earliest possible artifacts from our American Past time found its way to the auction block. The opening bid began at $20.00 and from that point 30 enthusiastic bidders took over and shortly afterwards, one bidder remained when the virtual hammer was dropped for a final selling price of $7, 750.00! This particular baseball glove was an exceptional piece of baseball history but the scenario as described above is NOT an exceptional story. Time and time again, savvy ‘pickers’ attend estate sales, garage sales, Craig’s List and flea markets and always come out with a find. When these lucky buyers come across their finds, their selling outlet is most always through the auction method of selling. There is no question to the fact that a fast paced auction is the most efficient way of converting your property and assets into cash. With the combination of solid pre-auction marketing and the auctioneer’s attention getting chant, you will have enthusiastic, attentive buyers aggressively competing to purchase your goods. More times than not, items at auction sell for far more than their estimated value. The lesson you should learn here is simple. If you possess an item or items that you perceive could be quite valuable, then at a bare minimum you should pick up the telephone and consult with a professional auctioneer to determine if the auction method is the best strategy for you. Unfortunately, this scenario might happen to anyone, but it shouldn’t happen often to an experienced estate sale company. And I have seen many, many items go for very little at an auction, especially if it isn’t well run and doesn’t draw enough buyers. Plus, at an estate sale within the home, EVERYthing has the possibility of selling, not just one or two unusual items.This can lead to better results financially for the family.